Yes! I Want SEO Ultimate+ Now! But First, See How It Works!. Why use 20 Plugins for SEO When You Can Do Everything With Just One? Implement Features Like Structured Markup, OpenGraph for Social Networks, XML Sitemaps, Automatic Internal Linking, Alt Attribute Image Optimization, a Bulk-Editor for Meta Titles & Descriptions, Canonicals, Meta Robots & More. Do you want to Instantly Add Valid Structured Markup to your Website for Local Business, Reviews, People, Places, Organization, Events or Video? Now you can with SEO Ultimate+. Yes! I Want to Add Structured Markup to Stand Out in Search Engines. Power users (you know who you are) that need a convenient way to mass edit canonical URLs for all categories and post types, the new Global Canonical Manager awaits when you upgrade now! Yes! I Want to Prevent Duplicate Content and Mass-Edit My Canonical URLs. Why optimize images one at a time when you can mass edit all of your alt attributes and captions from one screen? Yes! I Want to Add Alt Attributes to Optimize My Images. You only get one chance to make a first impression. Make sure your website looks amazing when people share it on Facebook, Twitter, Pinterest, LinkedIn and others with the OpenGraph+ module. Yes! I Want to My Website to Look Great on Social Networks. Need to add functionality to your theme without coding? Instantly add analytics, structured markup, tracking code, ads, HTML & 3rd party Scripts to any page, post or post type conveniently with the Code Inserter+ Module. Yes! I Want to Add HTML, CSS, and 3rd-Party Scripts Without Coding. 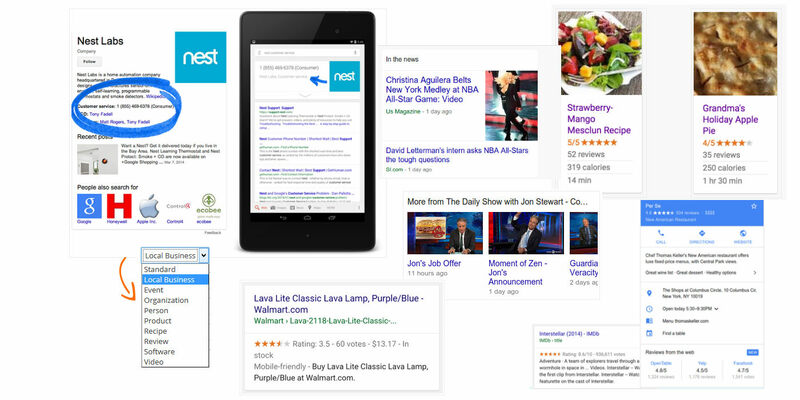 Want to notify search engines automatically when you publish fresh content? Now you can instantly add both HTML or XML Sitemaps. Yes! I Want to Add XML and HTML Sitemaps for Search Engines. Advanced power users, now you can use powerful Rel Previous and Next HTML initiatives to optimize multiple pages, categories or posts as one consolidated paginated series (which is known to offset potential duplicate content penalties) and to consolidate rankings. Yes! I Want to Reduce Duplicate Content and Consolidate a Series of Pages. And last but not least, now you can conveniently Import Your Optimization Settings from Yoast WordPress Plugin other Plugins and Themes in just a few clicks. Yes! I Want to Import Data from Yoast WordPress Plugin and Others Easily. It’s Time to Supercharge Your Website! HELL YEAH! I WANT MORE TRAFFIC FROM SEARCH ENGINES! Ease of Use: Rather than trying to manage 30 plugins to optimize your on-page optimization, save time and streamline everything from one dashboard with this powerful All-In-One plugin. Exclusive Updates: All new features will be added exclusively to SEO Ultimate+ since we discontinued all support and updates for the FREE version of the plugin on Jan. 1, 2017. Premium Support – You’ll enjoy quick, responsive one-on-one premium support from our team to help you diagnose or fix issues quickly as they arise. Up to 5 Sites – $89/Year. Up to 10 Sites – $169/Year. Up to 20 Sites – $249/Year. You will require a site license for activating and unlocking the plugin. Licenses can be deactivated and moved to other domains, however, if you plan to use the plugin on more than one domain, you should purchase additional licenses or you can do so from your my-account page at any time. Powerful Rich Snippets: Add 13 types of valid structured markup for local business, people, places, organization, reviews, article, news article, blog post, courses, recipes, events, products, software and video without coding. Open Graph: Optimize your content for social networks with ease with the Open Graph+ module. More Features: Over 30 modules to control everything from Alt Attributes, HTML and XML sitemaps, Robots Meta, Rel=”prev” and “next” pagination options, WPML, internal linking and more. See All Features. Over 2 Million Downloads and Counting. Great Plugin! This plugin is awesome… and the possibility of activating only the modules you want to use is great. Easier to Use Than Yoast: Gave this a try after I experienced a number of glitches with Yoast, which is usually my go-to SEO plugin. My first experience has been very positive – the bulk meta description editor, in particular, works much better than the Yoast equivalent. Easy to Use & Effective! Very easy to use and saves A LOT of time when re-doing internal link structures for my website. 10 Traffic-Boosting Reasons to Purchase Now! Exclusive Updates & Premium Support – Get premium one-on-one support with SEO Ultimate+. No waiting in the forums, you get your support questions answered and issues dealt with immediately. We’re talking minutes, not hours or days. More Powerful Features – Get exclusive features like OpenGraph+ which allows you to easily customize how your site looks when shared on social networks. You can add 13 types of Structured Data / Rich Snippets for Local Business, Events, Recipes, Software, People, Places, Organization and Video and more and mass-edit pages, posts and custom post types up to 100 entries at a time. An SEO Data Importer – In just a few clicks you can Import your data from the Yoast Plugin, All in One SEO Pack and other popular plugins and themes. A Sitemap Creator – Yes! It has sitemaps… based on your requests, we’ve added both HTML and XML sitemaps to the plugin. The New Code Inserter+ – The new Code Inserter+ Module allows you to easily add various types of code including HTML, analytics, JSON-LD and more to any page, post or custom post type in the header, above content, below content or footer areas. The ALT Attribute Editor – Now you can easily mass-edit alt attributes with ease to add titles and descriptions to your images so that search engines score your pages higher and know how to tag images for search. 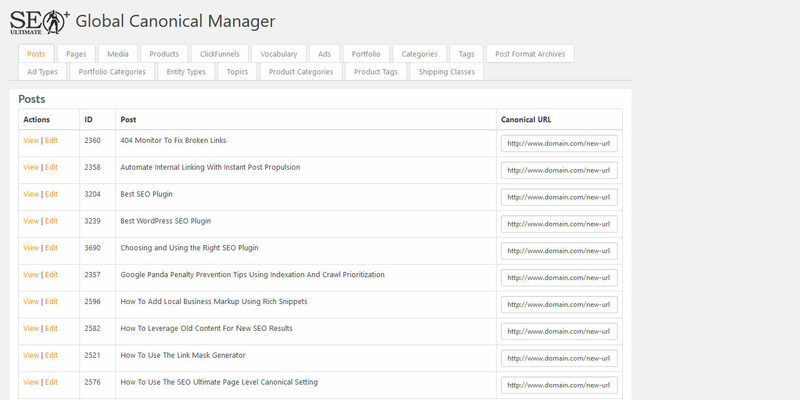 The Global Canonical Manager – The new Global Canonical Manager allows you to manage canonical URLs (up to 100 pages at a time) from one page to conveniently add canonical URLs to any page, post or post type. UX Improvements – We’ve made dozens of improvements to the user interface based on user feedback via support tickets, work-flow optimization and common sense. Previously Unreleased Functionality – Enjoy powerful new features like the Global Canonical Manager to mass edit canonical tags on pages, posts and post types, HREFLANG support and rel=”previous” and rel=”next” Pagination for interlinking series of documents, products or silos and we’ve even added new mass-editing meta robots initiatives like noarchive and nosnippet. Comprehensive Bonus Training – Ever want to know how to use every feature of this powerful plugin? Well, now you can. For a limited time, you can get access to our professional 17-Point Optimization Checklist that shows you the exact same steps that we actually use when configuring the plugin for our clients. This bonus training absolutely invaluable. YES! I Want More Search Engine Traffic! Want Pixel-Perfect Control Over How Your Site Looks When People Share it On Social Networks? This is an example of the OpenGraph+ module when shared on Facebook. With SEO Ultimate OpenGraph+ Module, now you can control the exact titles, images, and descriptions that you want to be displayed for your pages and posts on Facebook, Twitter, Google+ and others. In 2010, Facebook created an HTML protocol called Open Graph that allows you to showcase your preferred titles, descriptions and images on pages and posts in social networks. 2) Use the new OpenGraph+ Module and edit up to 100 pages at once (using the mass-editor) to optimize your content for Social Networks. 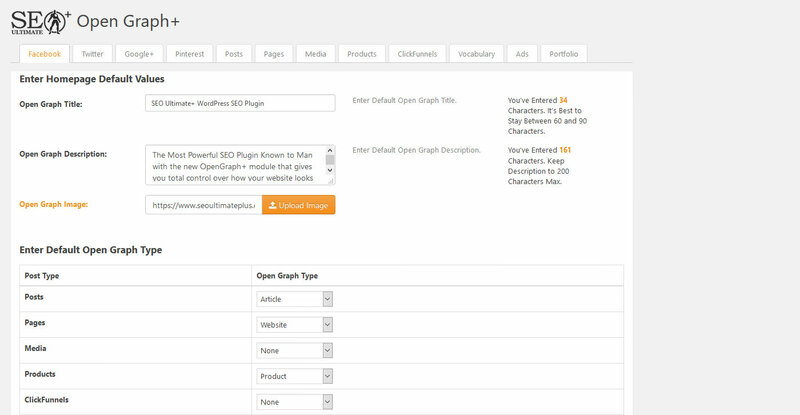 This plugin makes it easy to add OpenGraph markup to WordPress and allows you to control precisely what your content looks like when people share it. Now You Can Instantly Add 13 Types of Valid Schema Markup for Local Business, Reviews, Recipes and More Without Coding? We’ve recently added additional structured markup for Article, News Article, Blog Posting and Course schema types in addition to the others above. It’s Everything You Need to Optimize Your Site with Rich-Snippets, Schema and Open Graph Markup (Including Facebook, Google+, and Twitter) Quickly and Easily. So, what are you waiting for? Sitemaps, Rich Snippets, Open Graph, Autolinks, an Alt Attribute Editor…and so much more. If you want your website to rank higher in search results, you need to do more than just add keywords or edit your meta title and descriptions. You need a comprehensive all-in-one plugin that can help you implement all the advanced features with ease. Rather than having to think about the confusing tangle of dozens of different WordPress plugins you’d have to use to do all this…and then cross your fingers they play nicely together, you can do everything you need from one dashboard. Don’t waste precious time on tasks that should be quick and simple, install SEO Ultimate+ and put battle-tested search engine optimization and Social media features to work on your WordPress website today. As others have said (and from my experience) this is the best SEO plugin I’ve found so far. Does everything I need it to and setup is straight-forward. This gets a lot of use in our office. This is the best SEO by far. I have just paid for the newest paid version and it is amazing. It saves me hours and hours of coding specific schema and silo sculpting. Nothing else comes close! I use this tool on every WordPress site I manage for the firm I work at. It’s absolutely great, and it’s the best one I’ve used to date. A: We have a 30 day – no questions asked – refund policy for all products. There are ZERO risks! Q: Can I Keep Using the FREE Version of SEO Ultimate? A: Yes you could, however, it is not advisable, as we will not be providing support, updates or downloads for the FREE version after January 1st, 2017. So, to ensure that you are using the latest secure version, we suggest you upgrade to the premium / PRO version to get future updates and support. Q: Can I Get Support for the Premium Version? A: Yes! If you experience any problems whatsoever, you can log in, create a ticket and get lightning-fast dedicated one-on-one support to resolve the issue quickly. Q: Will My Current Settings Be Saved? A: Yes! If you are using the FREE version and you upgrade, all of your legacy settings will be imported automatically into SEO Ultimate+! Q: Can I Import Settings from Other Plugins and Themes? A: Yes! 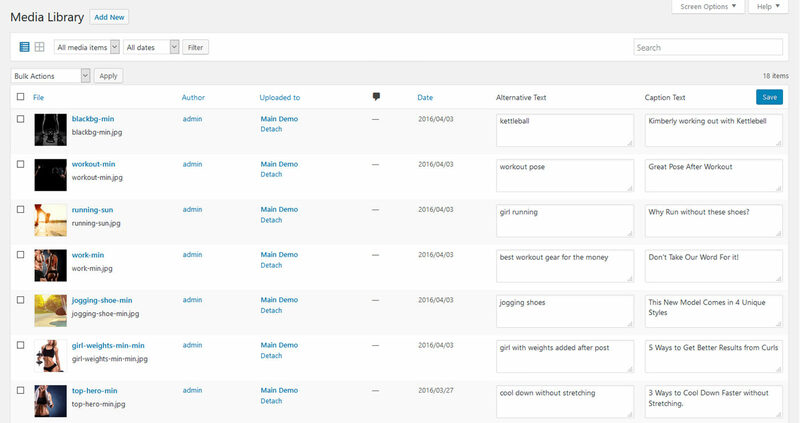 You can import settings from plugins like the Yoast WordPress Plugin, All in One SEO Pack and others as well as themes like Genesis, Headway and more. Q: Has SEO Ultimate+ Been Tested with the Latest Version of WordPress? A: Yes! The Premium Version has been tested and works perfectly with the latest version of WordPress. We update SEO Ultimate+ regularly with new features and bugfixes. Q: Do I Have to Renew My Site Licenses Yearly? A: No! Updates are included, however, in order to get access to support, we suggest you renew annually. However, for unlimited licenses, there is a mandatory renewal to keep the licenses active. We are so confident that you are going to be absolutely delighted with this software, that if for any reason you are not completely satisfied, just let us know and we will promptly refund your money as part of our hassle-free, 30-day money back guarantee. YES! I’m Ready to Improve My Rankings Now! Click the button above to upgrade to the premium version now. Next, on the product page you can choose the number of site licenses you want and after you checkout with PayPal or credit card, you’ll receive instant access to the download and license key, detailed installation instructions and comprehensive video training.